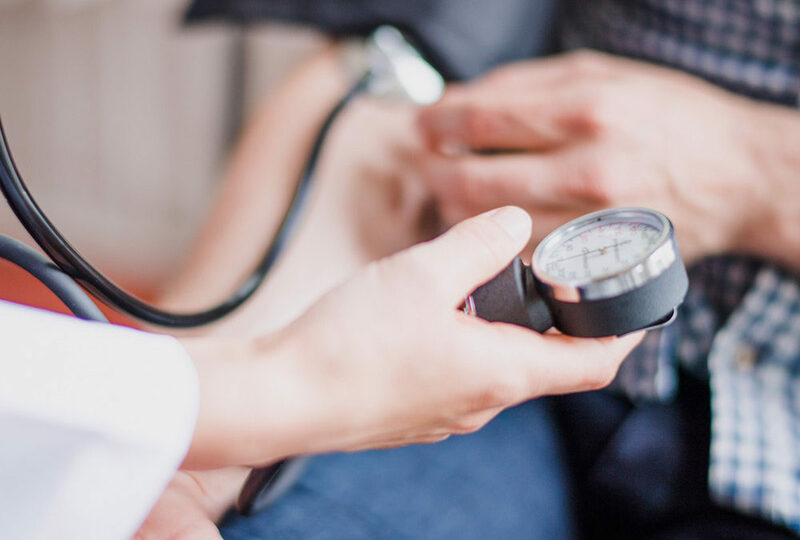 High Blood Pressure, which is also called Hypertension, is a very common problem in the United States It is one of the most common reasons why people go to see a doctor and take prescription medication. What does it mean to have high blood pressure and how can it be managed? The normal criteria for blood pressure has changed over time. The latest recommendation comes from the American Heart Association. They recommend blood pressure below 130/80. Accurate measurement of blood pressure is important to determine what the level is. Ideally it is first important to avoid smoking, drinking caffeine and even exercising for 30 minutes before taking a blood pressure reading. Next, sit quietly and relax for 5 minutes before taking the reading. We recommend devices that measure blood pressure over the upper arm, not at the wrist. Finally rest the arm on a table take the reading and record the result. Because blood pressure normally fluctuates throughout the day several readings are needed to get an idea of the average blood pressure. Keep a log of 1-2 readings a day over a week and bring those to your doctor to review. Many times, there will be one or two high readings out of every 10, and that can be ok. This is a normal fluctuation of blood pressure. You and your doctor will decide what is a good range for you. People who have had heart attacks, strokes or diabetes will need to have a lower blood pressure than those who have not had those problems.